Winter Park Flyfisher is Colorado’s premier fishing supply outlet. We are a year-round, full-service fly shop offering top-quality flies, fishing gear, outerwear, and accessories. Our conveniently located storefront is the perfect place to pick up everything you need, from gear to guides, to access the rich natural bounty of the Colorado Rocky Mountains. Since 1995, Winter Park Flyfisher has been a trusted fishing store in Fraser, CO. We offer some of the best possible outdoor gear and fishing equipment available. We also host some of the most rewarding and informative guided fishing trips in the Fraser Valley. Our expert staff members strive to ensure you have the best, most memorable Fraser River fishing experience possible. We offer supplies and experiences perfectly suited for fishers of all ages and skill levels. 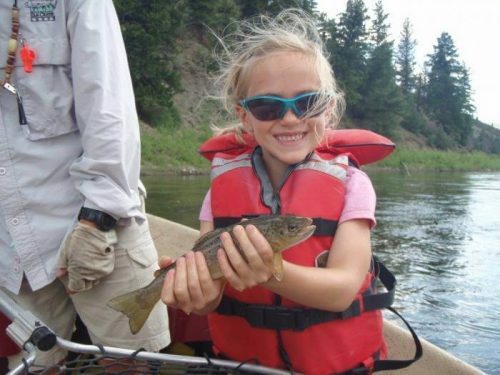 You can rely on our friendly and knowledgeable associates to outfit you with the gear you need to have a truly once-in-a-lifetime Colorado fishing experience. Our store carries several top name-brands of gear, including Simms and Patagonia. Our shop offers proximity to the scenic and world-renowned Colorado and Fraser Rivers. We are proud to be a licensed, bonded and insured fishing trip charter provider. We maintain working relationships with a wide range wildlife management agencies. Our expert guides use local knowledge and expertise to make every fishing experience unique. If you’re ready to fish the scenic, high-alpine waters of the Fraser Valley, reach out to Winter Park Flyfisher today. Contact us with any questions you might have.